There have been so many times that I have heard people say they were “burned by the church.” Many of those people eventually left the church and abandoned their faith with the blame all on “the church”. Today I was running and thinking (as usual) and reflecting on something that a guy named Levi Lusko said in one of his messages. He was speaking about how our lives are either a good reflection of the original (being Christ) or a bad reflection. I have blogged about this before in my “high fi vs. lo fi ” blog. I found myself unwinding that thought even further and came to the conclusion that the church, whether an actual church in your city that you attend or the church as the entire body of christians in the world or the church as in a christian friend you know, is only a reflection of the original. Now I know this thought is not original but I was hoping I could maybe give a visual for it to help it sink in a little better. There is a little song by a band named U2 called “I still haven’t found what I’m looking for.” Now this song/band may not be your cup of tea but imagine with me that it is one of your all time favorite songs (like it is mine). Now imagine that you are in the studio where they recorded it and are listening to it for the first time on some big amazing studio speakers. It would sound amazing. Those guitar parts would be clear. The bass would be beating in your chest. Bono’s “going for it” vocal would feel like he was singing it right there in front of you. It would probably sound nearest to the real deal. 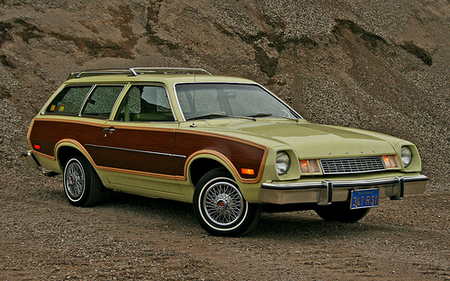 Now imagine you are in your great great granny’s Ford Pinto with only AM radio and a tiny speaker buried under the kleenex box in the back . On comes the U2 song and ugh! It sounds terrible. Wasn’t there bass in that track? Why do the drums sound like they were played on the kleenex box? Now what if we blamed the quality of the band on granny’s speakers? U2 is the same great band whether we hear their music on $5000 studio speakers or in our ipod earbuds. Nothing about the band changes. So why would we blame and turn away from Christ based on the speakers we hear his message through. If you think that something is wrong or amiss about your church then find a new church but don’t think that the original is wrong or amiss. And when you decide that because you were burned by the church you will create your own “spiritual journey” remember you are a speaker for what you are preaching. You the liar, you the hypocrite, you the backstabber, you the gossiper, you the cheater, you the imperfect. In fact you are just like that church who burned you. You are a sinner. You are an imperfect speaker. So, learn about who Christ is and what He teaches. Find a church that helps you do this. Dig deep because the more you know about Him the better the reflection and sound you will be for those listening around you. This entry was posted on Thursday, July 22nd, 2010 at 12:43 pm	and posted in Anything and Everything. You can follow any responses to this entry through the RSS 2.0 feed. it’s so amazing that Jesus loves his church despite our oft-wonky AM radio representation of Him. i’ve seen that when i press into God to seek HIM, all the struggles that naturally happen when large groups of people gather together turn into opportunities to love and grow instead of reasons to be bitter. It’s amazing what a little bit of His presence can do for a confused, hurting heart. What excellent thoughts: especially to remember that “when you decide that because you were burned by the church you will create your own “spiritual journey” remember you are a speaker for what you are preaching. You the liar, you the hypocrite, you the backstabber, you the gossiper, you the cheater, you the imperfect. In fact you are just like that church who burned you. You are a sinner.” – and then an admonition to dive into Christ and learn more of Him. The reason “the church” has a habit of burning people is that, well, it’s comprised of people. People, being human, have that tendency. It is never the God part of the church equation that is the problem. I can honestly say that I have never been burned by The Church. I have however been severely burned by A church, and also by people within a church. I don’t blame God for other people’s idiocy/bigotry/ignorance/narcissism/etc. The crappy AM radio is a good analogy. The one I use is thus: Suppose you knew a person who claimed to be a great surfer. All he did was talk about surfing, and he had a beautiful, custom designed board. However, for all his talk, you never, ever see him actually surf, even though you go out every day to the same spots he claims to frequent. His board is always in pristine condition. No dings or cracks, almost like it’s never been used. Eventually, you figure it out: the guy for all his talk, is a poser. It isn’t claiming to be a surfer that makes you one, it’s going out and surfing that makes you a surfer. It’s the same with people who go to church. Some are all talk, and others live the life. God has earned my 100% undying faith and trust. People however, always have to earn any trust given. Even if they claim to be a christian (and sometimes especially when they claim to be a christian!). As a chaplain in Hospice, I encounter many people who have been “burned by the Church”, and it breaks my heart that so many people who are in desperate need of the community of the Body at the time of their death, are falling through the cracks. And so, my ministry challenge is to bring back a sense of Christ and the Church for them and their families like water brought from a well a great ways off. I agree with you, that we cannot allow our faith life to depend solely on a group of people who are as broken by sin as anyone else and not ultimately on Christ who is perfect in every way. But we must also hold ourselves accountable! We are the ones who represent Christ as His living body for others and for the world. We must love as He did and does…loving the outcast and enemy, the sick and the lost…this is hard even for the healthiest congregations. We want to be alike, not different…we don’t want to accept someone who may not fit into some cookie cutter. But for the Church to grow in its mission, we must be ready to open our arms not close them! Peace to you and yours…and to the Creation!